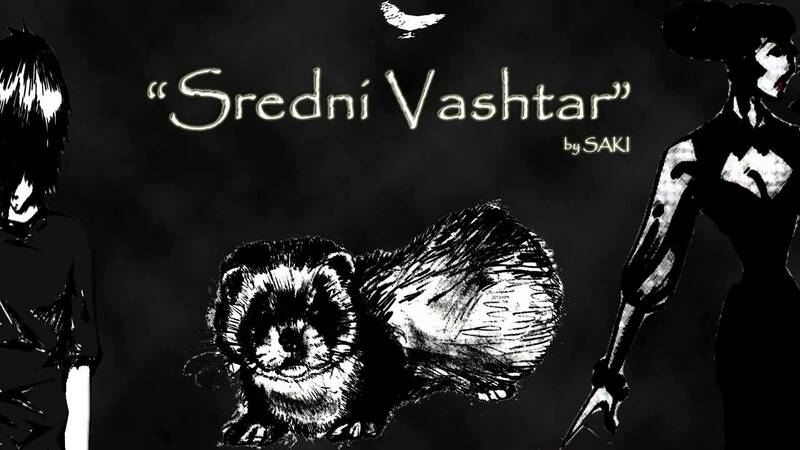 5 Stars / Saki / Short Stories / Sredni Vashtar / Tuesday Terror! Mrs. de Ropp would never, in her honestest moments, have confessed to herself that she disliked Conradin, though she might have been dimly aware that thwarting him “for his good” was a duty which she did not find particularly irksome. …one day, out of Heaven knows what material, he spun the beast a wonderful name, and from that moment it grew into a god and a religion…Every Thursday, in the dim and musty silence of the tool-shed, he worshipped with mystic and elaborate ceremonial before the wooden hutch where dwelt Sredni Vashtar, the great ferret. Slowly Conradin develops rituals around his new god, making offerings at his shrine, especially when he feels grateful for something – such as when Mrs de Ropp is suffering from severe toothache. This escape into his imagination is the only thing in his life that Conradin cherishes. book review, horror, saki, short stories, sredni vashtar, tom baker, tuesday terror! Tom Baker is just fabulous! What a fantastic reading of a great story! Love the smile at the end. It’s amazing how some stories seem all the better for being read aloud. Nice pick! Isn’t he a fabulous narrator? I love being able to find all these things on youtube – often these stories only really come to life when they’re read aloud. Ooh, Tom Baker related dreams might be a good thing… did you have toast and butter for breakfast? I read and really enjoyed this week’s Tuesday Terror – it’s a long time since I’ve read Saki! After Thrawn Janet, and this one, Tuesday Terror is definitely something to look forward to! Thanks FictionFan! OK, I’m sold. I’m going to read it. The photo of the ferret is enough to fill me with dread. Shiver. What a great choice by Big Sister. I love the narration, Tom Baker really has something special as well as being an excellent narrator, that smile at the end, mm…. Glad you enjoyed this one – it isn’t so much what he tells you, but what he doesn’t that makes this story work. I hadn’t heard the Tom Baker reading, so thanks for the reference – I think he enjoyed the toast too. It’s good, isn’t it? I always like when the horror comes through without there having to be lots of gory descriptions. I love that story too – and what a great reading! I’m going to make some toast and butter and Marmite now! It’s a fab reading, isn’t it? I love Tom Baker…even the hair! OMG!?! Who…who…have you killed?? Or did the cats do it? Oh my. Yes, they can be scary in real life, but then so can adults. Isn’t that the truth? I am not fond of ferrets but I did have a few pet mice along the way of my checkered life. It’s just a personal issue, I think, with him. He’s so short, you know? Okay, just printed this out to read it… (If I read on the computer my eyes could fall out.) The professor has always liked ferrets, and I’m quite interested to see what happens. Maybe something wonderfully bloody. You know, BUS has great tastes, I do think. What’s the difference between a kindle and an iPad air thingy? Don’t tell anyone I asked this, you know! I’d catch it–for like forever. I loved the story! *laughs* Nice and short. And for once, the wicked one got what she deserved. I don’t know why, but Mr. Vashtar reminds me of Zez. Glad you enjoyed it. *smiles bigly* Yes! Definitely a Zez resemblance there! I wonder if he can gurgle…? Thanks, FEF! iPad then. I think. Yes, but I still wouldn’t get Northanger Abbey! Hey, which reminds me, do you like that Downtown thingy? You know, that beast didn’t make a sound. Even when he was killing her! Cool. It makes me think he saw the woman before. *smiles* And the professor must have cool things–like katanas, for instance. I’ve just been hearing lots about it. And I thought you’d probably like it. *laughs* Very good point! But I think Tuppence is held in check by Tommy. Just don’t get them mixed up whatever you do! Yes, I don’t really know why I didn’t stick with it – I’m hopeless at following things on TV. If only! She is a law unto herself! It’s a good thing! You should watch more Diesel-like things anyway. Like Fast Five. Is she scared of moths? Never even heard of it! Anyway is it not bad enough that you make me read all these books without making me watch TV too?? I know I should feel bad about it…but…but…you’ve been making me read a lot too!